If you've been a regular reader of my site, you'll know that I am an avid listener to audio-books during my commute to and from work. My latest story, "A Hole to China" by Catherine M Valente is available on Lightspeed magazine's website. This story is about an "exceptional" girl, who wants to be more like the popular crowd. She believes that she can do this by mimicing what they do. If a child carries a shovel, for example, adults will laugh among themselves and say that the little one is digging a hole to China. This is what exceptional children do. 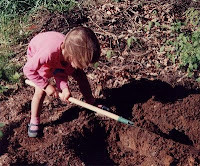 So, she picks up her dad's shovel one night and starts digging in the middle of the family garden. It's once she digs down deep enough that the story takes an interesting turn of events and the lore tie-ins start to get interesting. I recognize some of the lore bits from other stories I've listened to but cannot place the origins. This is one of the side quests that I think Blizzard could tie in nicely to the MoP environment. 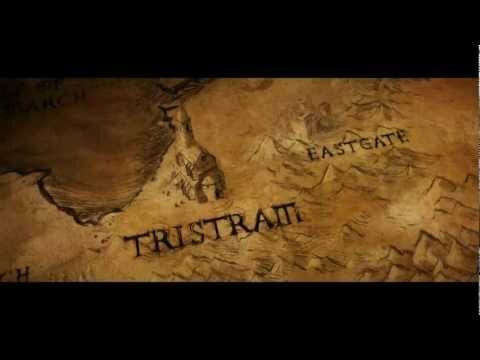 It may be create a funny twist (especially for D3 players) because the main character's name is Tristram. Imagine a quest where you could follow Tristram into her hole in the ground and explore the underground world that it leads to. You'll have to listen or read the story to full appreciate what I am eluding to. You can check out all of Lightspeed's podcast here.